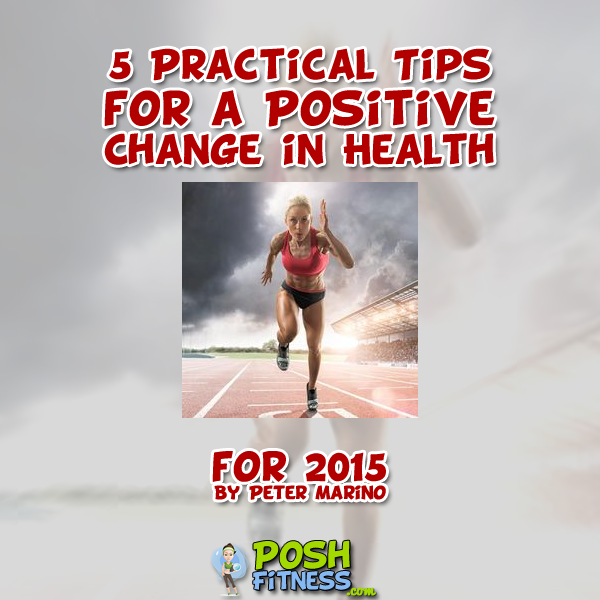 5 Small Steps to a Long Lasting Positive Change in Your Body | Health Coaching, Personal Training and Nutrition Advice from a Health Coach! 1. Try eating a vegetable at almost every meal. This will increase the amount of nutrients and the fiber you eat . 2. Take a multivitamin/mineral. Ensuring that you’re getting all of the nutrients your body needs will allow your body to let go of fat and work with you toward your weight loss goals. Not getting enough nutrients makes your body think you’re starved or missing out so it will work against you in weight loss. Taking a multivitamin/mineral is an easy preventative fix. 3. Don’t work out too much. Change should come gradual and although your will power is high in the New Year it is natural for your interest to peter out. Therefore, work out as little as possible to get the results you desire. You can always dial it up more as you get more fit. Taking this approach will ease you into fitness without the risk of injury and prevent burn out. 4. Eat according to your activity level. Eat less on days that you don’t work out and more on the days that you do. You need to have a caloric deficit of 3500 calories per week to lose one pound so aim to eat 250 calories less on workout days while burning at least 250 calories at the gym. On the days you don’t work out eat 500 calories less to make up for the lower activity. 5. Measure progress. Use apps like MyFitnessPal to track your progress. Measurements should include weight, body circumferences, body fat percentage as well as meal & workout tracking. Progress should be measured to keep you motivated and to let you know what is and isn’t working. If taking bodyfat measurements be sure to use a seasoned personal trainer or nutritionist to measure it properly with calipers.